Cinedigm is releasing Fight of the Living Dead on DVD and digital platforms on July 7. This action-packed, zombie-infested series has achieved more than 9 million views since premiering on the streaming digital network CONtv and YouTube channels! 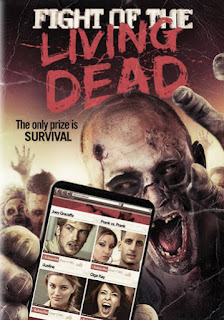 Achieving over 9 million views since premiering on the streaming digital network CONtv and subsequent YouTube airings, FIGHT OF THE LIVING DEAD is an action-packed series perfect for fans of zombie horror content and gaming! 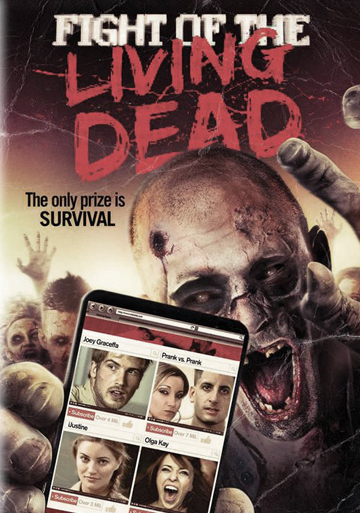 A competition series with horror overtones, FIGHT OF THE LIVING DEAD (FOTLD) is an unprecedented mash-up of the reality and scripted genres. 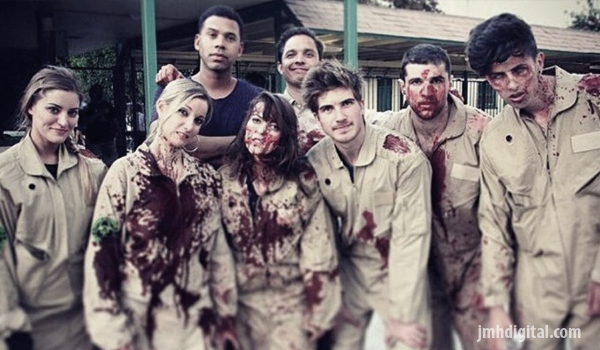 The show will follow 8 top YouTube stars as they attempt to survive the first 24 hours of a highly simulated Zombie Apocalypse. The only prize is survival.